Adam Fulara will perform "Counterpoint Jazz Standards" and teach at the Baltic Sea Guitar Festival 2018 in Mielno (Poland). More info at the FB profile and web site. 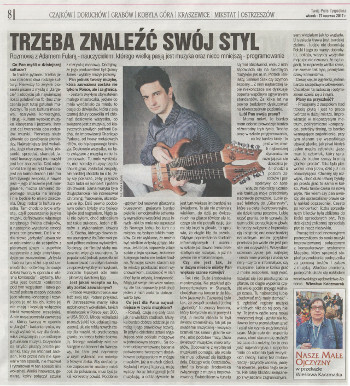 Review of Counterpoint Jazz Standards at the Poznan University has been released in Polish press (Polish language). 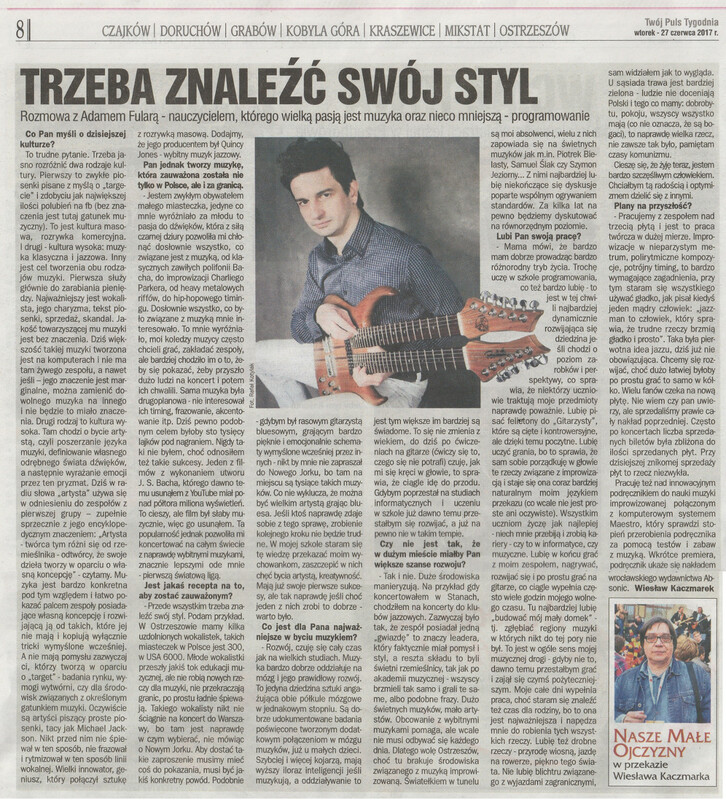 Polish "Twoj Puls Tygodnia" magazine has released interview with Adam Fulara called "To find own style" (Polish language). 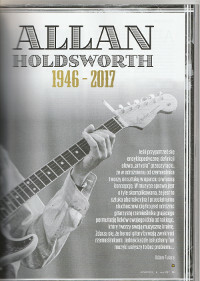 An article about Allan Holdsworth in Polish edition of "Guitar Player" has been released. Author: Adam Fulara. Allan was his master in the way of thinking about music - making your own ideas. R.I.P. Allan Holdsworth. 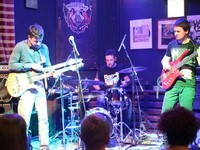 Check out photos from Ostrzeszow Culture Centre Full-X gig. Photos: Kamil Cichon Photography.